How much does it actually cost to have a piano tuned? How are pianos tuned? Here are the details. After calling seven piano tuning companies, independent technicians, and taking extensive notes, we determined that the average cost to tune a piano is between $50 and $175. Additional services and repairs add more to the overall cost, depending on the condition of your piano. Have you ever walked up to an old, dusty piano that hadn’t been maintained in years and hit a key? You hit a C and it sounds like you’re playing a D… that’s how much this particular piano I found in an old church basement was out of tune. It probably hadn’t been tuned for the better part of the last decade! An out of tune piano is hard to ignore - and not in a good way. It’s difficult to play your favorite song when it just doesn’t sound right! Well, we did some extensive research and looked at a variety of piano-tuning companies (and independent piano technicians) in our local area (Midwestern United States) to come up with an accurate cost-estimate per piano. Of course, the price in higher cost of living areas might increase slightly, but after getting quotes from a few different cities, I’d say those price variations are negligible. To answer this question we decided to do some local research. 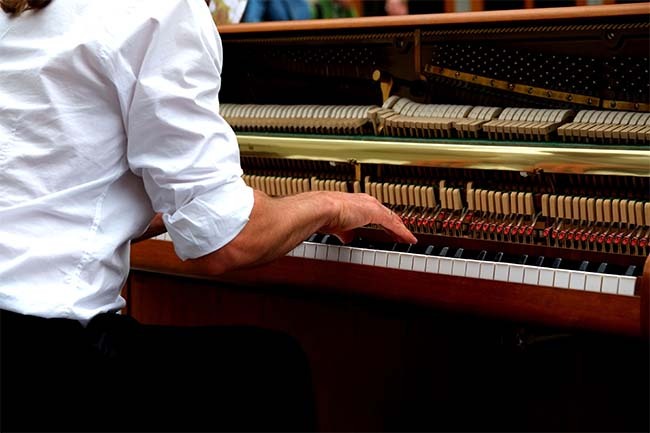 We called up a few piano tuning companies and independent technicians and asked for a price estimate based on the type of piano and the amount of work to be done. A well-known piano technician in our area (with 60 years of experience!) quoted us a $120 flat fee for any standard, 230-string piano, to be completed in roughly 1.5 hours. It didn’t matter whether it was an upright or grand piano, his price stayed exactly the same unless there were additional repairs to be done. The best part? His process was simple and straightforward. We’re detailing the process he described since this is typically how things will go in most piano tuning appointments. He starts by coming down to wherever your piano might be located: your living room, a church stage, concert hall, etc. and opens it up. Once he can see inside, he does a thorough examination, looking at each string for wear and walking you through the process step by step. He meticulously describes exactly what’s going wrong (if anything seems out of the ordinary) and what he’s looking for. The whole process is, overall, smooth and painless. We were in for a rude awakening when we called a local “budget” piano tuner. The man who answered was quick and to the point, instantly trying to gauge whether or not we were going to book an appointment. We asked for a quote and a time estimate: 30 minutes, $50. The service was drastically different here. They were “quick operators” who got in and got out as quick as they could, focusing on volume of tunings rather than individual quality. You just didn’t get the same customer service as with the independent piano tech we had consulted with earlier, and the service felt very cold and distant, very transactional. As the saying goes: “You get what you pay for”. That certainly proved to be accurate in the piano-tuning world. 7 phone calls and dozens of sticky notes later, we came up with a piano tuning average price range: $50 - $175. With repairs, the numbers increased slightly. Minimal Repair (i.e. replacing a string): Expect to pay an extra $20 - $100. Medium Repair (a more significant internal repair or parts replacement, i.e. a string and several hammers): $100 - $200. We talked about basic service and repairs, but what about additional services like “pitch raises”? Pitch raises can be a significant adjustment, so you’d think their cost would go up compared to a standard tuning. And you’d be almost right -- it depends on the piano tuning technician. Some tuners include pitch raises as a complimentary service on top of a standard piano tuning. Other tuners can charge up to $100 for a pitch raise (depending on the amount of work required). 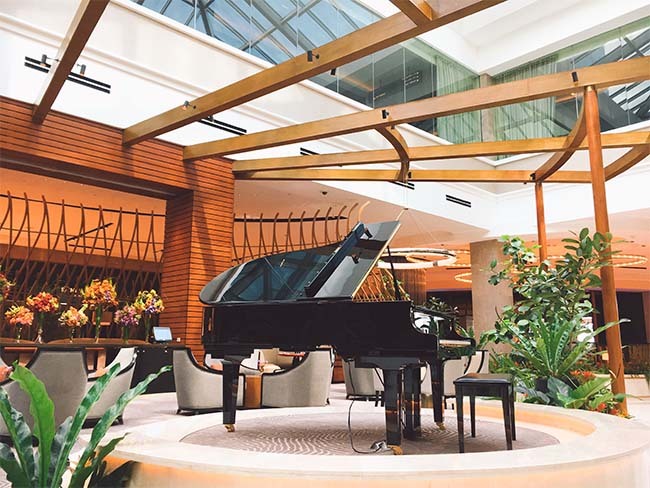 If you’re really looking to protect the performance of your piano, humidity control systems can make a big difference in preventing internal piano swelling from environmental factors. Piano humidifiers do one job and they do it well: Add moisture to the air in order to keep the relative humidity inside your piano constant (just like guitar humidifiers). For an upright piano, a humidity control system can run around ~$300. For a grand piano, on the other hand, humidity control systems are priced closer to the ~$700 range. A piano can stay in tune for years when left to its own devices, but this isn’t recommended. Most manufacturers recommend at least two tunings a year for regular maintenance. But no matter how well it’s maintained, every single piano experiences some internal expansion, contraction, and shifting due to environmental factors. Environmental factors such as humidity and physical factors like the intensity of the performer (i.e. a very loud song played in all triple-forte) can all cause a piano to go out of tune over time. As a standard, pianos are typically tuned to “A440”. This means that the A key on the piano just above middle C is tuned to a frequency of 440 Hz. From there, it all comes down to mathematically figuring out each half-step down or half-step up to the next piano key and making sure the frequencies match by fine-tuning each string. 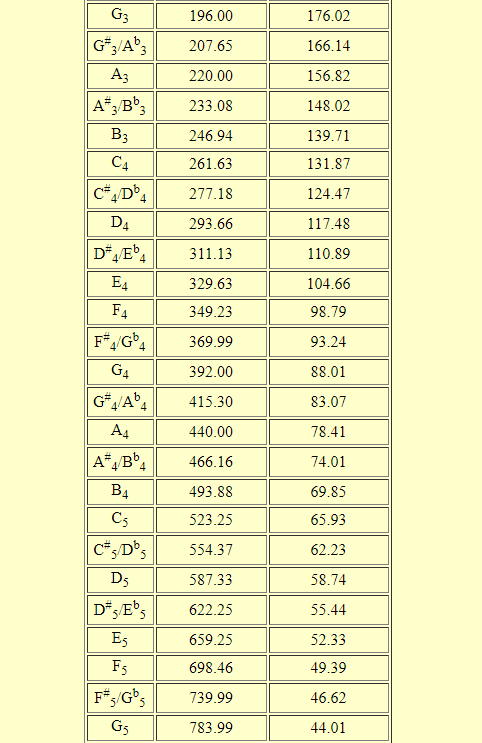 There’s a great chart posted by Michigan Tech that shows the frequency of each key in its standard tuning. All in all, you should be able to get all 230 strings of your piano tuned for anywhere from $50 to $175. The cost depends on the piano technician and/or company, and often correlates with quality. Over the long-term, higher quality (and more expensive) piano techs catch the most issues and make the most progress on your tuning, from what we've seen. Less expensive and "free" piano tuning companies can charge very low ($50 as seen above), and have a "churn and burn" mentality where they try to get through as many tunings as possible. Premium companies, on the other hand, do exactly the opposite. They usually treat you well and love your content! As long as you get a reasonable quote from several experienced piano tuners before making any moves on your own, you should be all set!